My name is Frohic, and I’m a muto. I’ve never seen the homeworld, and I couldn’t care less about civilization, empires, or space. Especially space. All I want is to survive in a family that sometimes forgets I exist. My mother is always pregnant, my dozen siblings are swarming over every available surface, and my father makes plan after plan to send us all away. Sure, our hovel is crowded, the food is sparse, but at least it’s home. 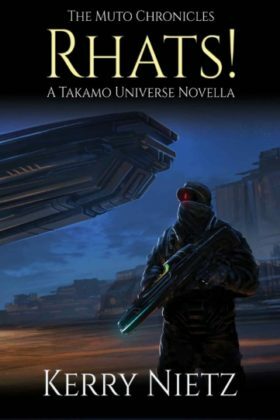 Book 1 of the Muto Chronicles series.